This bangle bracelet stack 4 Lt. pendant has the feel of artisan jewelry. It's finished in a unique bronze with antique brass highlights, featuring an antique brass inner cluster and stem. 4-60 watt max, candelabra sockets. Includes 15'wire, with 3-12" stems & 1-6" stem for adjustable installation. 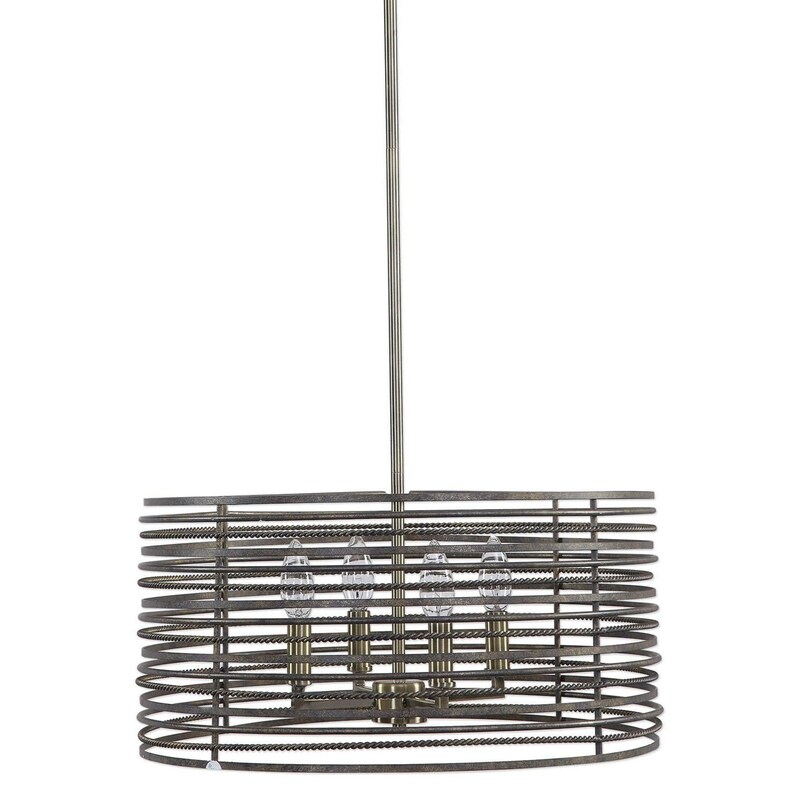 The Lighting Fixtures - Pendant Lights Braccialetto 4 Light Ring Pendant by Uttermost at Del Sol Furniture in the Phoenix, Glendale, Tempe, Scottsdale, Avondale, Peoria, Goodyear, Litchfield, Arizona area. Product availability may vary. Contact us for the most current availability on this product. Browse other items in the Lighting Fixtures - Pendant Lights collection from Del Sol Furniture in the Phoenix, Glendale, Tempe, Scottsdale, Avondale, Peoria, Goodyear, Litchfield, Arizona area.